Sensory Friendly Movie Night @ J. Clarke Richardson High School on October 25th at 6:30 p.m. Movie showing is "Sing." Popcorn and water provided. Parent Advanced Technology Nights will be starting up in October for any parent/guardian of a student(s) with a SEA device looking to explore software their child may be accessing this school year. ​Every Wednesday we are celebrating our school with WEH Wednesday! Students are encouraged to dress in school colours and school clothing every Wednesday. This month we are also putting out a challenge to students to create a school cheer! The DDSB is redesigning the board website and our school websites. These new websites aim to be more responsive, engaging, mobile-friendly, and searchable, thereby providing a better user experience for our communities and staff. ​Gifted nomination forms are due Sept. 21st; Parents of children in Grades 4-8 are invited to contact the SERT in order to obtain the required nomination form (Only if you would like to nominate your child for gifted testing this year). Click Here! - Weekly Special Fun Lunches will be every Monday starting September 10, 2018. Ordering is available ONLY through www.healthyhunger.ca. Below is the schedule of lunches. All orders are due 5 days prior to the lunch date. ​This trip has been rescheduled to May 28th. ​Walter E Harris Families, Please note that due to inclement weather, Pizza Day has been rescheduled for Wednesday, April 18th 2018. April 20th is Heritage Day at Walter E Harris PS. Please see the permission forms attached below. ​ The SCC would like to say THANK YOU to all the students, families and staff at WEH for a successful Dance a Thon. It was a fun day. School Climate Survey is Here! ​School picture orders are due on Thursday, October 19 . Please remember to check your proofs and return your orders online or to the school on time to avoid the late fee. Pizza Lunches at Walter E Harris! ​Students are encouraged to wear green and white to school on Monday, September 25th to celebrate Franco-Ontarian Day. We will be singing the song ''Notre Place'' together as a school and raising the Franco-Ontarian flag. Jump Rope for Heart - Update! ​We're excited to announce that our annual Jump Rope for Heart fundraiser is happening now! Our fundraising efforts are going well, as we're working towards achieving our goal of raising at least 5000$ for the Heart and Stroke Foundation through Jump Rope for Heart. .
​Ready, Set, Go! Our track and field day is Thursday May 4th 2017. Our rain date is Wednesday May 10th 2017. Please remember to bring a water bottle, hat, sunscreen, and appropriate foot wear. Welcome to the SCC Remind App! Great Math Website for Home! ​Please check out www.mathies.ca This was the website that was shared at the Bring your Parents to School morning presentation. We are in need of the following items: Toilet Paper Tubes Paper Towel Tubes Wrapping Paper Tubes Please bring to Mrs. Crocker if you can spare before March 23rd. This co-curricular activity will be taking place in the gym on Day 3 at 11:05am to 12:00pm beginning next week! 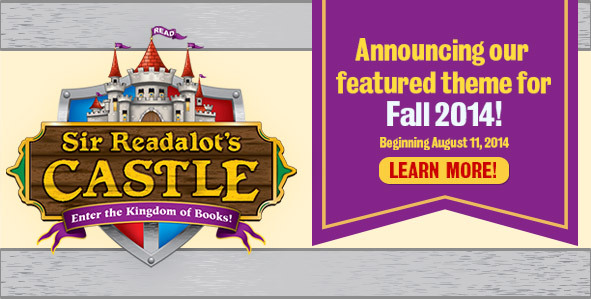 It is for students in grades 3-8. Permission form will become available soon. Nutrition Program is under way! We are kicking off the school year with Fresh From The Farm. We hope it will be a fun, informative and an educational one for all. This is our opportunity to not only get fresh food but also help our local farmers. ​Can you please add on the website that Junior Soccer Tryouts will take place Tuesday September 13th and Thursday September 15th after school until 3:30pm. Students need to bring their cleats and shin guards. ​ Ripleysaquariumtrip.pdf Here is the permission form for our grade 4-7 year end trip to Ripley's Aquarium in Toronto. There is a limit to three volunteers per class including the teacher, but if you're interested in attending this great trip, feel free to meet us there. Interested in technology to help your child? This workshop is for you! ​Our previously scheduled Meet the Teacher BBQ will not be taking place on September 24th. More information regarding a Meet the Teacher event will be forthcoming. THANK YOU FOR YOUR FUNFAIR CONTRIBUTION! QSP is coming back this fall! WEH Fun Fair is Coming! The Rainbows end of the year Celebration took place last week. We would like to thank the SCC and Crockadoodle for their support. Please see the pictures of the mugs that were painted! ​Final session is coming up! Nutrition Program will be on Tuesday & Wednesday (March 10 & 11) and then on Wednesday & Thursday (March25 & 26) for the next few weeks to accomodate the short weeks. Thanks! Interested in enrolling your child in French Immersion? There is an information session on April 23rd beginning at 7:00pm. The session will be held at the Durham District School Board Office, 400 Taunton Rd. Whitby. Contact Lori Peck at 905-666-6389 for more information. ​Tryouts will start on Tuesday and Thursday of the first week of March. The will occur during lunch hour 11- 11:30. Final team will be posted the day before MarchBreak. All practices will be on Tuesday at Lunch. Thanks Mme Downward and Mrs. Nelson. Interested in QSP Magazines for Gifts? Please join us for Primary Assembly @ 12:30 and Jr/Int Assembly @ 2:00pm on Thursday, Jan 29th. 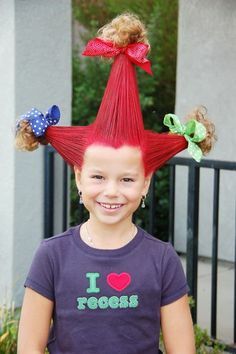 ​On Wednesday, January 21st, 2015, we are planning a wacky hair day for students and staff.. We encourage everybody to participate including the staff. We can't wait! Sincereley, the students of Student Council. Go Hurricanes! Choir practices will start this Friday (Day 2s). Mme Rocha is accepting new members. ​Boston Pizza order forms are due no later than Feb 12, 2015. ! Thanks. For those who made the basketball team, congratulations! Wear Something You Are Proud Of! Holiday concert information is attached. Please remember to return your ticket request form (one per family) as soon as possible to secure your spot. ​The session has been rescheduled to Tuesday November 11th, details attached. Thank you! Our Nutrition Program needs more volunteers! Toronto and Region Conservation advises that Environment Canada is forecasting a weather system that may bring 15 to 25 mm of rain to the Greater Toronto Area. The rain will begin late this afternoon and continue throughout the night and end tomorrow morning. Black Educator's Network Presents, "And Still We Rise." For the Month of March and April we will practice every Monday at lunch. We are preparing for our big dance competition on May 13, 2014. ​Students in Grades 3-5 are meeting on Tuesday and Thursdays at lunch to practice line dances and traditional folk dances to a variety of music in preparation for the Durham Jamboree in May! ​Please see attached memo that was sent home on Wednesday, January 29th with the youngest in the family. What was it? A "Free the Children/Me to We" program campaign that involved collecting non-perishable food items to support local food banks. We chose to help a soup kitchen called "The Refuge", which is geared towards feeding youth aged 24 and under. SCC presents: Staff Appreciation Lunch! ​The SCC is looking for any volunteers who may like to help with the luncheon on Jan. 31/14. We could use helpers for set up or clean up (between 10:00am and 1:00pm). If you are interested in helping, please contact Shannon Stephens @ scrappinsimply@gmail.com. ​Grade 6 students will be travelling to St. Donat from January 19-22nd, 2014. ​This is an amazing French workshop where all of our students will be making their very own instruments. They will then perform in concert style. Come out and see our students in our annual Holiday Concert. Our evening concert is Thursday, December 12, 2013 at 6:30 our daytime concert is Friday, December 13th at 9am. ​This is the new face of our school website. Please take some time to explore the menu at the top.